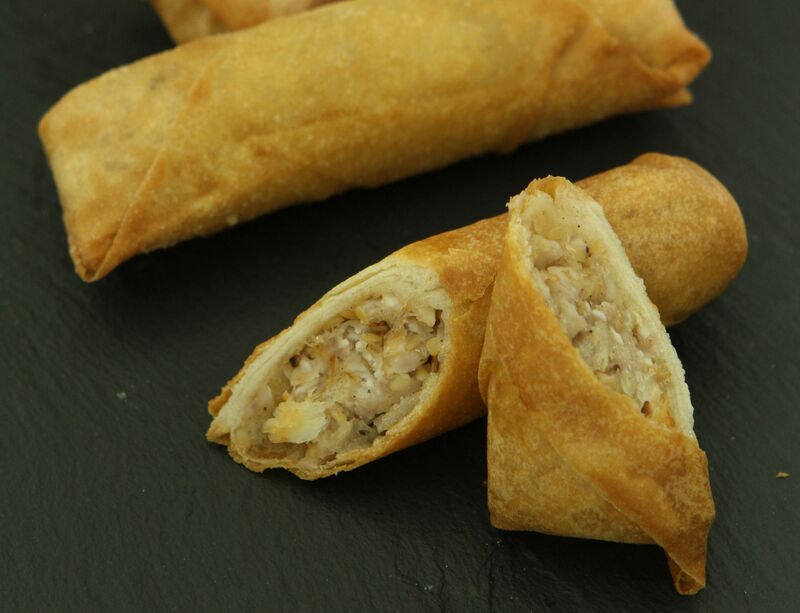 These Deep-fried Crab and Taro Summer Rolls are great for the seafood lover as a snack or appetiser. In a mixing bowl, combine all the filling ingredients and season to taste. Chill till ready to use. Divide the filling evenly among the popiah wrappers and roll up. Seal with egg wash. Deep-fry over medium heat till golden brown. Serve hot with dipping sauce and herbs for garnish.